We live in times where we need instant personal loans for our desired purchases, EMIs or an unexpected bill payment. Where the bank procedures can be time-consuming, cash loan app will save your time as well as your efforts. India is getting digitalized, from a pen to a smartphone, everything can be bought online. Why not a personal loan? What is a cash loan app? There are online apps which are specifically designed for young professionals to meet their instant personal loan needs. These loans are majorly given as cash to fund a short-term financial requirement. Terms like payday loan or advance loan are also used to refer the same. You can lend amount from ₹10,000 up to a 1 lakh from such online lenders. 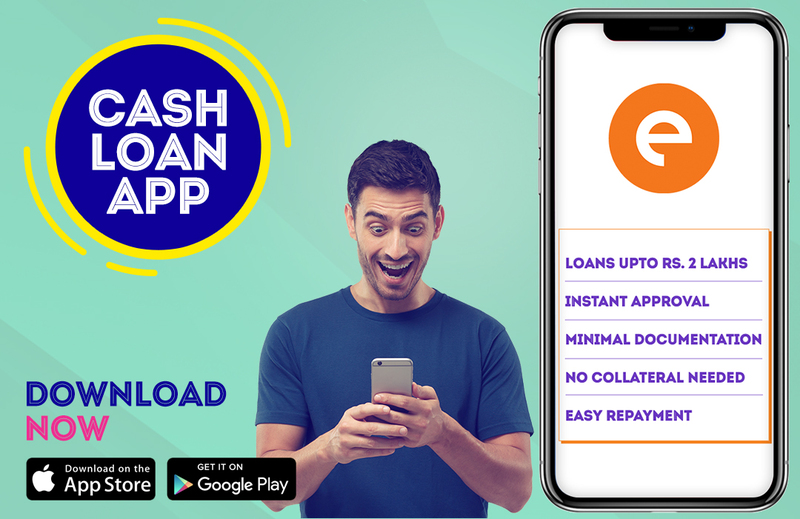 Features of Cash Loan App? •	Applying for cash loans can be very convenient. You do not have to leave your house and can apply for your loan from anywhere while doing your work. •	The loan can be applied without involving anybody. It is a complete private process. •	You can apply for the loan 24/7 since the process is entirely online. And it takes hardly 15-20mins to do so. •	You can always compare the loan prices and interest rates from different apps online. Loan terms and features vary from app to app, you can prefer the one which suits your need. •	Applying for a personal loan online is completely secure, as you can search the app and read the reviews from authentic users. Thus, your data is secured too. •	These apps will not recollect the money if your bank account doesn’t have sufficient funds, the lenders will be provided with read-only access to your bank statements. •	Lending money online is a very quick procedure. Most of the cash loan apps have a similar process of application. •	You can visit the desired app website and start the application. •	You will have to fill in your personal details like pan card number, Aadhar card number, contact information etc. to apply and log in. •	Once you log in, you need to fill in other details like your salary and complete the verification process. •	Add the loan amount and thoroughly check the interest rate and fees charged by the lenders. •	Link your bank account, you will have to submit your bank statement as well. •	These apps usually take a couple of hours to calculate the details and approve or disapprove your loan. •	Once your personal loan is approved the cash is transferred to your savings account within 24 hours.